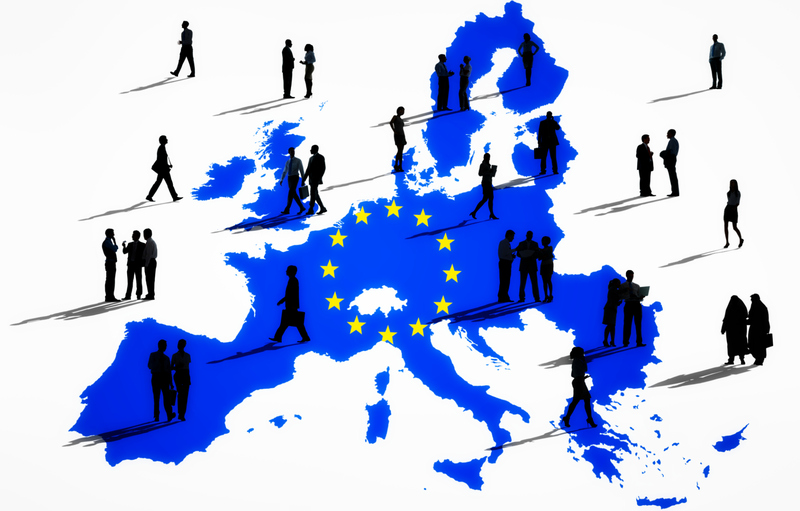 The FINANCIAL -- In 2014, around 890 000 persons acquired citizenship of a Member State of the European Union (EU), down from 981 000 in 2013. Since 2009, more than 5 million persons in total were granted a citizenship of an EU Member Sate. Of the total number of persons obtaining the citizenship of one of the EU Member States in 2014, 89% were non-EU citizens. The largest group acquiring citizenship of an EU Member State in 2014 was citizens of Morocco (92 700 persons, of which 88% acquired citizenship of Spain, Italy or France), ahead of citizens of Albania (41 000, 96% acquired citizenship of Greece or Italy), Turkey (37 500, 60% acquired German citizenship), India (35 300, almost two-thirds acquired British citizenship), Ecuador (34 800, 94% acquired Spanish citizenship), Colombia (27 800, 90% acquired Spanish citizenship) and Pakistan (25 100, around half acquired British citizenship). Moroccans, Albanians, Turks, Indians, Ecuadorians, Colombians and Pakistanis represented together a third (33%) of the total number of persons who acquired EU citizenship in 2014. Romanians (24 300 persons) and Poles (16 100) were the two largest groups of EU citizens acquiring citizenship of another EU Member State. Overall, a rich diversity of recipients prevails in the EU. Croatia (91%) and France (90%). In contrast, Luxembourg (82%), Hungary (77%) and – to a lower extent – Malta (52%) were the only Member States where the majority of persons acquiring citizenship in 2014 were citizens of another EU Member State. At EU level, 89% (or nearly 788 100 new citizens) of those granted citizenship were non-EU citizens, and 11% (95 700) of another EU Member State. Almost 1 in every 4 persons who acquired an EU citizenship in 2014 became citizens of Spain (205 900 persons, or 23% of all citizenships granted in the EU in 2014). It was followed by Italy (129 900 or 15%), the United Kingdom (125 600 or 14%), Germany (110 600 or 12%) and France (105 600 or 12%). When compared with the total resident population of each Member State, the highest numbers of citizenship granted per 1 000 resident population were recorded in Luxembourg (5.8 citizenships granted), Ireland (4.6), Sweden (4.5) and Spain (4.4). At EU level, 1.8 citizenships were granted per 1 000 inhabitants. The naturalisation rate is the ratio of the number of persons who acquired the citizenship of a country during a year over the stock of foreign residents in the same country at the beginning of the year. In 2014, the highest naturalisation rates were registered in Sweden (6.3 citizenships granted per 100 resident foreigners), Hungary (6.2) and Portugal (5.3), followed by Spain and the Netherlands (both 4.4). At the opposite end of the scale, naturalisation rates below 1 citizenship per 100 resident foreigners were recorded in Slovakia (0.4), Latvia and Austria (both 0.7), Estonia and Lithuania (both 0.8). At EU level, 2.6 citizenships were granted per 100 resident foreigners in 2014. Of the five EU Member States that granted the most citizenships in 2014, the naturalisation rate was above the EU average in Spain (4.4), around the EU average in Italy (2.6), France and the United Kingdom (both 2.5), and below the EU average in Germany (1.6).